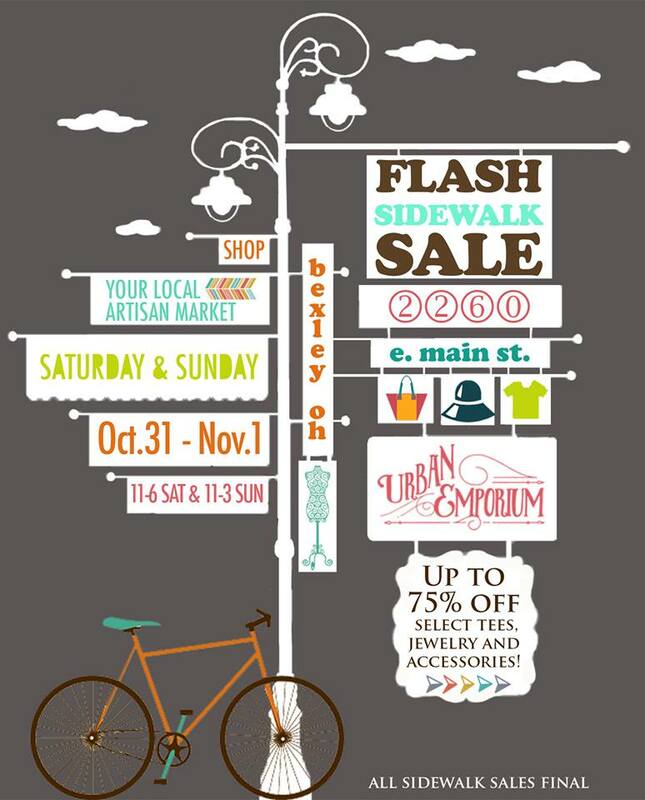 We’re having our very 1st Sidewalk Sale at Urban Emporium this weekend! 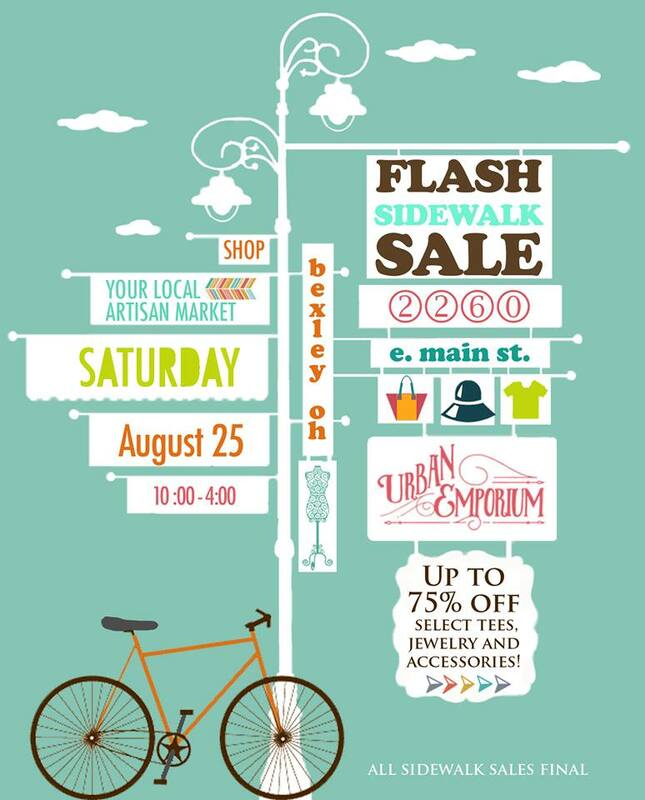 Head over to our sidewalk for FABULOUS deals on fun tees, cool jewelry, unique accessories and MORE! Many items up to 75% off! Make sure to stop into the shop as well ~ we’ve had some amazing artisan deliveries the past few weeks and we can’t wait for you to see them all! Urban Emporium is located at 2260 E. Main St. in Bexley, Ohio. Shop hours this weekend are Saturday 11 am to 6 pm and Sunday 11 am to 3 pm.